This year TruPath friends and family joined the Ulta Beauty team making strides in Phoenix. The American Cancer Society's Making Strides Against Breast Cancer Walk raises awareness and donations to save lives from breast cancer. Each event is a non-competitive 3 to 5-mile walk that unites the community together to raise awareness for everyone who is affected by breast cancer. "With your passion no one walks alone." 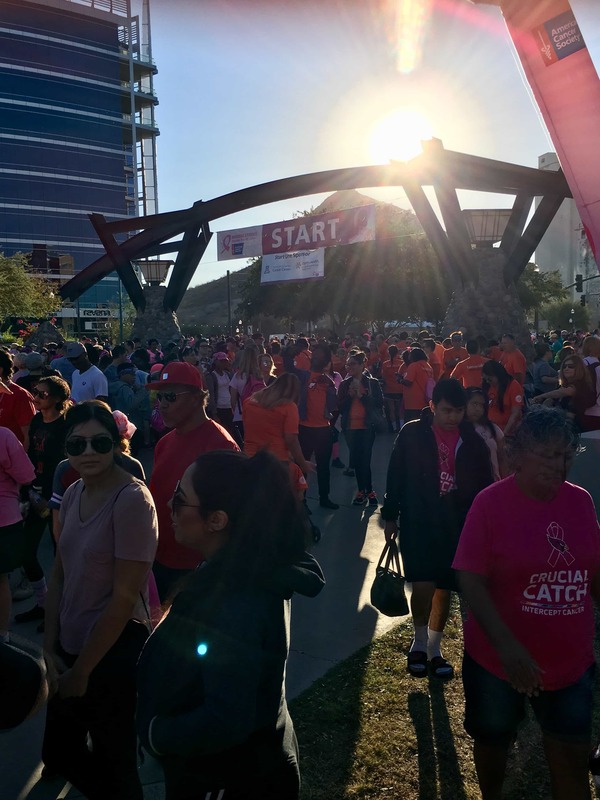 On Saturday, October 28th, we came together making strides in Phoenix. The morning was full of excitement, and of course, PINK! The temperature started out a tad chilly - this coming from Phoenix resident.... But, as the sun rose, the morning warmed up to perfection to match the sunshine radiating from the sky and crowd! The crowd attendance size is large, and the non-competitive walk is just that. It is very much a leisurely stroll unless you are one of the first ones out of the starting gate. The event is as much of a walk as a celebration. Food trucks were on site. And, entertainment was provided by the likes of DJ Doll and the Arizona Cardinals Cheerleaders. As of Saturday, teams had raised $70,000 for the cause!